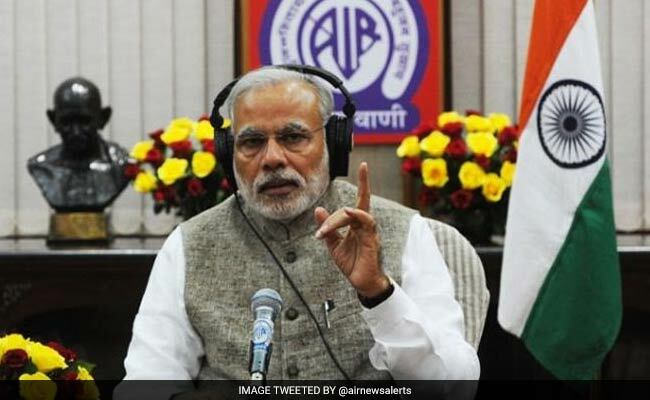 Addressing his monthly 'Mann Ki Baat' radio broadcast, the Prime Minister said a woman's power today underlined inner fortitude and self-confidence, which made her self-reliant. New Delhi: Ensuring the participation of women in all fields of life is every Indian's fundamental duty, Prime Minister Narendra Modi said today and noted that the dream of a New India envisages women who are strong, empowered and equal partners in development. "Not only has she herself advanced but has carried forward the country and society to newer heights...Today the country is moving forward from the path of women development to women-led development," he said. PM Modi said it was "our fundamental duty" to ensure the participation of women in every field of life, be it social or economic. Referring to International Women's Day observed every year on March 8, he recalled the words of Swami Vivekananda, who had said the idea of "perfect womanhood" was "perfect independence". "We are part of a tradition where men were identified because of women. Yashoda-Nandan, Kaushalya-Nandan, Gandhari-Putra, these were identities of a son...," he said. As India observes National Science Day on February 28, the PM also stressed the importance of the "relentless quest" for truth. "And this is the very essence, the real inspiration behind scientific inventions and discoveries. Never rest till every why , what and how are answered," he said. In his address, the prime minister also spoke on the issue of safety ahead of National Safety Day on March 4. "If we are not aware of safety in our daily life, if we are not able to attain a certain level, it will get extremely difficult during the time of disasters," he said. PM Modi regretted that while people read signboards on safety, they often ignored the messages. "Leave aside natural disasters, most of the mishaps are a consequence of some mistake or the other on our part. If we stay alert, abide by the prescribed rules and regulations, we shall not only be able to save our own lives but we can also prevent catastrophes harming society," he pointed out. He also urged the people to inculcate safety in their day-to-day lives, stressing that India had to become a "risk-conscious" society. He said till three years ago, thousands of people lost their lives every year because of heat waves. Since then, the NDMA (National Disaster Management Authority) has organised workshops on heat wave management as part of a campaign to raise awareness among the people, he said. "In 2017, the death toll on account of heat wave remarkably came down to around 220 or so. This proves that if we accord priority to safety, we can actually attain safety," he said. PM Modi also referred to the newly-launched 'Gobar Dhan' scheme where rural waste would be converted to clean energy through biogas under the government's Swachch Bharat campaign. He said the aim of 'Gobar Dhan' -- or Galvanising Organic Bio Agro Resources -- was to ensure cleanliness in villages and generate wealth and energy by converting cattle dung and solid agricultural waste into compost and biogas. He pointed out that India had, at close to 300 million, the highest cattle population in the world, with a daily output of three million tonnes of dung. Some European countries and China use animal dung and other bio-waste to produce energy. But India lacked full capacity utilisation in this. He said a target had now been set to use cattle dung, agricultural waste, kitchen waste to produce biogas-based energy. Under the scheme, farmers will be encouraged to consider dung and other waste not as waste but as a source of income. "There will be novel opportunities for newer jobs linked to waste collection, transportation, biogas sales. An online trading platform will be created for better implementation of 'Gobar Dhan Yojana' -- it will connect farmers to buyers," he said. PM Modi called for self-help groups and cooperatives to take this forward. "I urge entrepreneurs, especially our sisters residing in rural India, to step forward, and through the creation of self-help groups and cooperative societies extract full advantage from this opportunity," he said. The Prime Minister also hoped the festival of Holi next week would bring in colour-laden felicitations.